Getting a hot tub isn’t as easy as picking which one you like the look of, and sitting it on your back porch. You have to get installed! 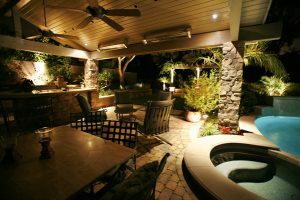 If you need a hot tub electrician Colorado Springs, read on to find out how we can help. Do You Need a Hot Tub Electrician Colorado Springs? Nobody really needs a hot tub. They’re just a way of relaxing after a long day. Ultimately, there’s only one person who knows if you need one or not, and that’s you. If you can afford it without breaking the bank, and if it would make a genuine difference to your quality of life, then you should go ahead and get one. Where Should You Install a Hot Tub? First, we’ll work together with you to pick the perfect place for it. Obviously there’s the question of whether you want it inside or outside. There are advantages to each. Having it indoors gives you more privacy, of course, but outdoors is more fun in the summer. More than anything, you have to pick somewhere that you’ll actually have room for it, plus a few feet either side to walk around it. You’ll also need to pick somewhere that’s well ventilated. If your hot tub is an outdoor one, you’ll have no trouble with that. But indoors, you need ventilation or your walls and windows will get moldy. As such you should pick somewhere that’s near a window you can open, and that preferably has venting and a ceiling fan to circulate the air. Finally, you should think of the weather. There’s no point having a hot tub outdoors if the weather only lets you use it twice a year. Having yours indoors means you can use it to unwind after a long working day, whether it’s summer or winter. And if you want to use it late at night, you could set the mood with specialist lighting! 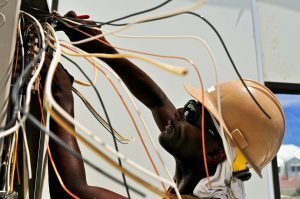 Can You Be a DIY Hot Tub Electrician Colorado Springs? You need to install electrical wiring. If you do this wrong, you could hurt yourself, start a fire, or worse. It’s not as easy as hammering in a nail or two! Water and electrics don’t mix, after all. Big projects like these tend to take longer than you think, especially if you’ve never tried before. The last thing you want is for a project like this to overrun, and leave your yard a mess for weeks. If you don’t have a foundation ready for it, you’ll have to create one. Otherwise, the weight of the hot tub plus the water and people inside it could actually make it tip, tilt or push into the soil underneath it. This is more work that you can probably do without. Hot tubs are big and bulky, and can be difficult to fit. You might need some help putting it in place, especially if it has to be plumbed in too. 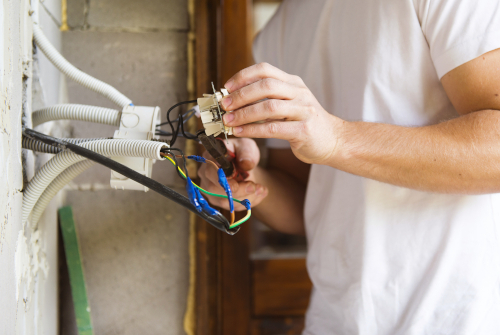 Even if you’ve got a lot of experience with DIY, you should avoid working with wiring. Things can go wrong through no fault of your own, and your dream would turn into a nightmare! That’s why businesses like ours advertise our experience working with electrics. How Do You Install a Hot Tub? Before we install anything, you need planning permission to install a hot tub in Colorado Springs. These are issued by Pikes Peak Regional Building Department, which covers unincorporated El Paso County; the cities of Colorado Springs, Fountain and Manitou Springs; the towns of Green Mountain Falls, Monument and Palmer Lake; and in Teller County, the City of Woodland Park. If the location of your hot tub is out in the yard somewhere, you might need to prep the site first. This means laying down a concrete foundation for it. You might also want to build a deck for it to sit on, depending on the style you’re going for. Then, you have to put the hot tub in place. If it needs to be plumbed in, then you’ll need to run piping from your existing system to your hot tub. Fortunately, most modern tubs are self-contained. To keep the water clean, you use filters, cleaning powders and the pH level to stop bacteria from multiplying or algae from forming. Next, we’ll have to wire up your hot tub so that there’s power for it. Otherwise, it’s a tiny pool that will never heat up! 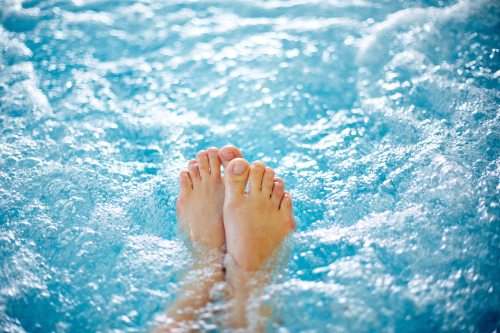 Most modern hot tubs are actually self-contained, which means they don’t have to be plumbed in. But hot tubs will always need power. We’ll wire it up to the mains for you, and install a new electrical panel if you need one. Why Hire Us As Your Hot Tub Electrician Colorado Springs? At Wire Works, there are three things that are more important to us than anything. They are our professionalism, our reputation, and our specialized knowledge. We’re a local business, so our continued success relies entirely on our reputation. Without it, we’re nothing, because our business would dry up quicker than a hot tub with a leak! That’s why we pride ourselves on working to schedule and to budget. Everything we do, we do right, first time. Not only that, but we’re professional—we treat your house as if it were our own home. That means treating you with courtesy, and leaving your house as we found it. We’re fully licensed and insured. Last but not least, we specialize in a number of things, hot tubs included. 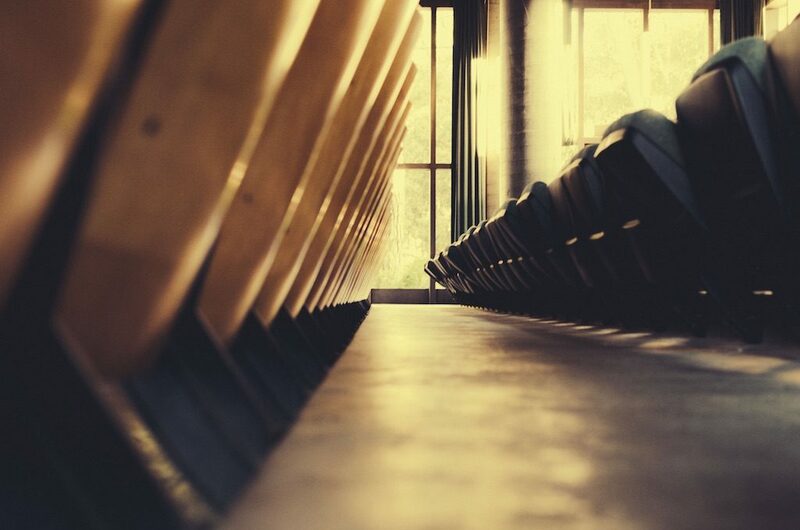 Our specializations include home cinemas, security and lighting—which means that we work on lots of interesting projects with the people of Colorado Springs! So, if you need a hot tub electrician Colorado Springs, give us a call and one of our friendly team will book you an appointment. Don’t delay—get in touch today! Looking for ceiling fan installation Colorado Springs? Well, you’re in the right place! Wire Works are Colorado Springs’ number one electrician company locally owned, and locally operated. But before we get into all that, let’s learn more about ceiling fan installation! Can You Install Ceiling Fans Yourself? Yes, you can! If you already have a ceiling outlet, then installing a ceiling fan isn’t too complicated. You usually need the ceiling fan itself, some wire strippers and wire connectors, electrical tape, a drill, a circuit tester, a screwdriver, some pliers and safety goggles. And, of course, you’ll need a ladder to actually get up there and install it! There are a few things that mean installing a ceiling fan is more suitable for an intermediate or expert than a novice. First of all, you’re dealing with electricity. The electrics in older houses, especially, can be full of surprises. So, you might think you’ve turned off the supply… But you really haven’t! Or old cables might have frayed and become exposed. And you might have to upgrade your electrical panel, too. Not only that, but you’re working at height, which is more dangerous than your average DIY. And what you’re doing is permanent and difficult to fix if anything goes wrong. That’s why most people opt for contractors for jobs like these, even if they usually go the DIY route. How Do You Install Ceiling Fans? The first thing you have to do is turn off the electrical supply to the existing light at the breaker box/fuse box. If necessary, remove any facing and expose the wiring, using a circuit tester to check if any of them are still live. Once you’re sure that the electricity is off, remove the fixture. If the existing electrical box is plastic, replace it with a metal box that’s suitable for ceiling fans. Then you have to follow the ceiling fan’s manufacturer instructions (since all ceiling fans are different). Normally, this involves fixing the bracket either as-is or using an extension, before fixing the ceiling fan in place and wiring it up. This all assumes that there’s already an electrical connection, which there won’t be if you don’t have a ceiling light/other electrics in place. The point of hiring a contractor is so that they take care of everything for you. If you aren’t comfortable working with electrics—and don’t worry, because plenty of people aren’t—then a contractor can do it all for you. Not only that, but you can have peace of mind that it was installed correctly. So who can you call…? Call Wire Works for Ceiling Fan Installation Colorado Springs! We’re Wire Works, a locally owned and operated electrician company here in Colorado Springs. We’ve got decades of experience between us working on projects just like these. 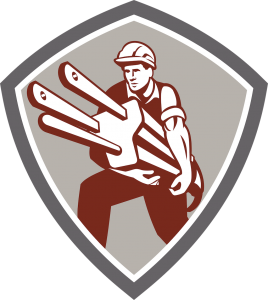 So why should you call us, and how does hiring a contractor work? Let’s find out. We pride ourselves on three things: our reputation, our professionalism, and our specialization. Our reputation is something that we’ve earned over the decades. We aren’t part of any big conglomerate, and we aren’t a big nationwide business that couldn’t care less about the people we work for. Our business is built on good customer service, prompt and high-quality work, and repeat business from happy customers! To go along with our reputation, we’re fully licensed and insured too. To us, professionalism means leaving your house exactly how we found it! Not only that, but we complete every single one of our projects with the utmost attention to detail. And finally, our specialization in things like ceiling fan installations, home cinema and sound, lighting and security mean that we can offer better quality service than any other contractors out there! So how does hiring a contractor actually work? It starts with you. Give us a quick call, and one of our friendly team will answer. We’ll set up a time and date for a house call, so that we can see what work you need us to do. When the day comes, we’ll sit down with you and figure out exactly what it is that you want. We can then take a look around and figure out how long it’ll take, and how much it’ll cost. Then we can set up a time and date from the work. Why Pick Wire Works for Ceiling Fan Installation Colorado Springs? Because we work in teams, and because of our experience, we get things done more quickly than you could on your own. You don’t have to tidy up after you get your brand new ceiling fan… Because we’ll do it all for you! Although we’ve got no doubt you’re capable at DIY, fixing or installing something for the first time can still be daunting. So if you’ve no experience with ceiling fans, you can relax while we do it all for you. Because you had us professionally install it, you can be completely confident of a job well done! And if that’s not enough, we offer estimates for all of our work. We’ll never leave you out of pocket and jack up our prices unexpectedly, because what you see with us is what you get! So what are you waiting for? Give us a call today for ceiling fan installation Colorado Springs! WireWorks are Colorado Springs’ premier electric contractors. We work tirelessly until you’re happy, on both small jobs and large. Interested in electric Colorado Springs? Then take a look at what we can do for you, below! Electrical panel upgrades are especially important in older builds. They allow you to make the most of your home, and replace old panels that weren’t built for modern life. You might also need a more powerful electrical panel if you’re planning on an extension. If you’re not certain whether you need repairs or not, it’s better to be safe than sorry. As we said above, frayed or broken wiring can be exceptionally dangerous. Electrical faults cause 51,000 fires each year, and almost 500 deaths. That’s no small number, especially considering that the majority of electric Colorado Springs repairs are so minor and affordable, even if you contact contractors like us. 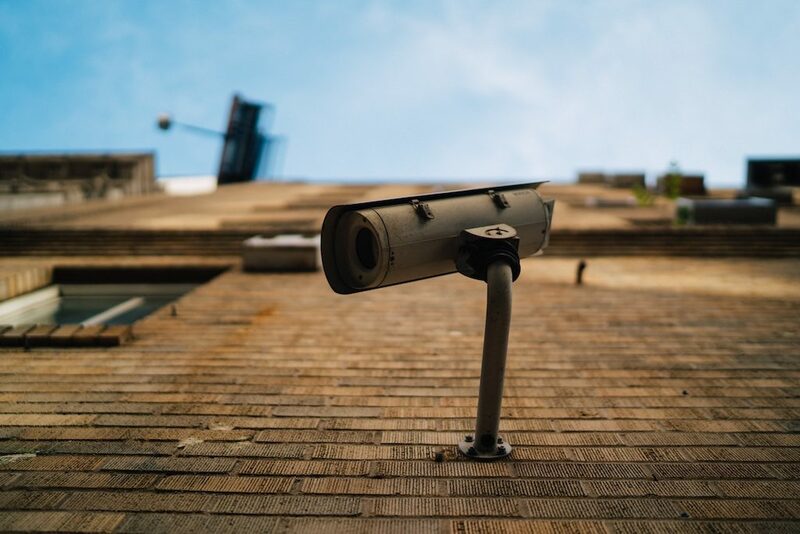 At Wire Works, we’re experts when it comes to home security. Unfortunately, there are around 16,500 ‘property related crimes’ in Colorado Springs each year. That’s 35 per 1,000 residents! Improving your home security system is normally enough to completely safeguard your property- the moment a thief spots that your house is properly protected, they’ll start looking for another house. So how can we help? Lights… Having even just a small amount of movement-activated lighting is normally enough to deter most burglars. Making it obvious that it’s there, i.e. with a sign, also helps. Either way, if a thief knows that they’re going to be lit up when they’re trying to do their ‘job’, that’s enough to convince them to try a different house! Cameras… Cameras go hand in hand with lighting. If the thief is still fool enough to try and steal from your home despite the lights, the cameras will mean you can identify them, even if they get away. Our cameras are wireless, easy to install, and affordable. You can even watch them from your computer, laptop or tablet so long as you have an internet connection. Action! Last but not least, you have to think of your alarm system. The sound of an alarm isn’t just to alert you and your neighbors that there’s somebody there. It also confuses and distracts the thief. This can help you and your family get to safety, and gives you time to call the police. So… Lights, camera, action! These three home security tools are more than enough to keep your home and family safe. We can help you with each of them, by sourcing the products, installing them, and helping you figure out how they work. On a more pleasant note, we can also help if you want to set up a home theater. The right lighting and the right sound are essential if you’re thinking of setting up a home theater. Whether you’re thinking of a surround sound system, a wall mounted TV or a projector, we can help get the job done. So why should you consider electric Colorado Springs contractors instead of doing the job yourself? First off, let’s get something straight: if you want a home theater, you don’t want to settle for anything less than the best, right? So let’s say you buy a big screen TV, an expensive sound system, some luxurious seats- great. But when you’re setting it up, you realize something: there are bunches of ugly wires here, there and everywhere! As electrical contractors, we can either run the wire through the wall, or use cable management to keep your home theater tidy. Next, we don’t just help with installation. We can help you source your equipment, too, if you’d like. We only source the very best products, and at good prices too. And once we’ve installed them, we can help you get to grips with them, too. You wouldn’t believe how much the right lighting can help your business. It makes your shop look warm and inviting, or relaxes the mood in a restaurant. It can make your gym seem energized and your sports bar the ideal place to watch the game. And for any business, the right lighting makes your business a better place to shop and work. So, if you’re in need of electrical repair or extensions, give us a call today. We’re BBB (Better Business Bureau) rated, and fully licensed and insured. That’s not to mention that we offer a free consultation, no matter what the job. So give us a call today at (719) 492-6955. We promise we won’t leave you feeling disappointed! 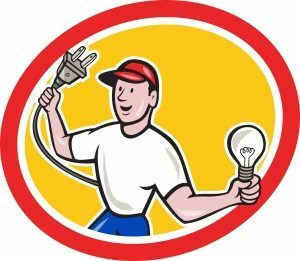 Why Should You Hire a Colorado Springs Licensed Electrician? 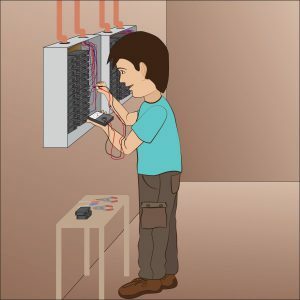 On July 15, 2018 / Blog, Colorado Springs, Electrical Wiring / Comments Off on Why Should You Hire a Colorado Springs Licensed Electrician? So, you’ve got some electrical work that needs doing around your home. It could be anything – from installing new lighting, to fixing an electric heater. Whatever the project is, should you attempt it yourself? Or should you hire a Colorado Springs licensed electrician? There are pros and cons to taking both routes. However, when it comes to electrical work, it’s always better to be safe than sorry. It may seem appealing to attempt DIY work around your home, but is it worth the risk? If you aren’t a fully trained electrician, you could end up causing damage or hurting yourself. There are five very good reasons why you should hire a Colorado Springs licensed electrician. Before you decide to attempt anything yourself, read our article. We’ll take you through these reasons so that you can make an informed decision. One of the most tempting reasons for carrying out electrical work yourself is the cost. Many people like the idea of saving money by doing it themselves. After all, purchasing the materials and tools often work out cheaper than hiring a professional. However, electrical work is not like regular DIY work, such as building bookshelves. If you aren’t a trained, qualified professional, you may not know how to spot a problem when you see one. It might be hard to tell if you’ve fitted something incorrectly. If you do something wrong, it’ll come at a cost. You could risk causing serious damage to your home, or even starting a fire. The amount you’ll spend on fixing the damage may end up being far more than what you’d have paid for a professional. A Colorado Springs licensed electrician will complete the job to a high standard. Although you may pay more than doing it yourself, it’s well worth it. Working with electricity is extremely dangerous. Everybody knows of the danger of electrical shocks and fire. However, would you know what to look for? A layperson – someone who isn’t a qualified electrician – may not be familiar with important electrical safety regulations. It’s not just a case of not mixing electricity with water, and covering plug sockets if there are toddlers in the house. There’s so much more to it than that. For instance, many people don’t know that a loose wire inside a switch could potentially cause a fire. How do you know if you’ve tightened everything enough? And are you familiar with the proper protective equipment to wear when working with electric? 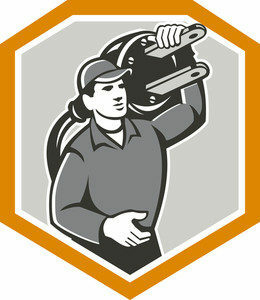 Licensed electricians are fully qualified to carry out electrical work. They’ve taken qualifications in electrical safety, and are familiar with all aspects of safe electrical maintenance. You can be sure that if you hire a Colorado Springs licensed electrician, you and your family will be safe. The third reason to hire a licensed electrician is that it saves you time. An unqualified layperson may take a lot longer to carry out electrical work than a professional. It’s easy to imagine that something “simple” like installing a new light switch will be a quick job. But if you aren’t sure exactly what you’re doing, you may be surprised. Electrical work can be tiring, difficult and frustrating (even for the professionals, sometimes). If you do something wrong, the electrics can’t tell you why they’re not working. Sometimes, a job that seems like it’ll take half an hour can take a layperson days to get right. Hiring a licensed electrician means you’re free to carry on with your life. While they work, you can spend quality time with your family. Run errands, look after children, or get on with another job around the home. Although you might spend less money doing it yourself, your time is worth more. 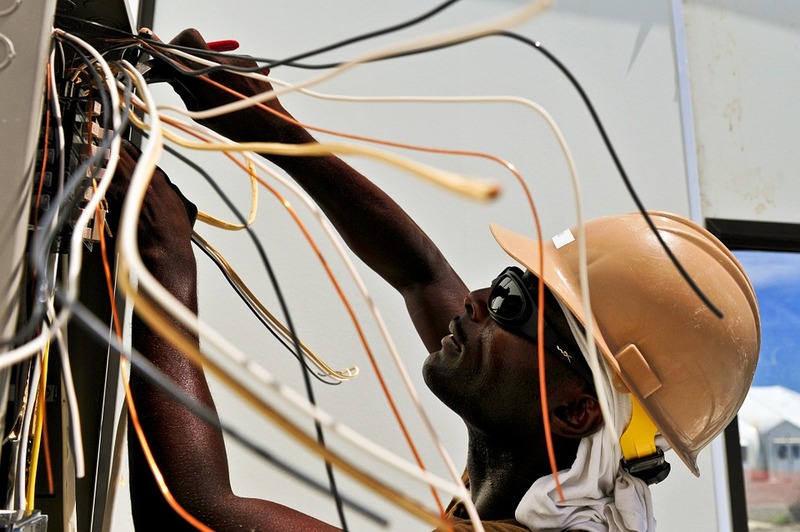 A professional electrician will get the job done faster than someone inexperienced. This will give you more time to continue with the rest of your home renovations. Now to get on to the less obvious reasons. Have you thought about how attempting electrical work by yourself might affect your home insurance? Working with electrics is not like working with wood, or laying a carpet. If you’re not a qualified professional, you may invalidate your home insurance by attempting it yourself. Many insurance companies will only cover you if all electrical work in your home is carried out by a licensed electrician. Even if you do a great job, electrical appliances and wiring can develop spontaneous faults. If a fire starts in your home, your insurance company will want to know why. When they find out it was caused by an electrical fault, they’ll want to know who carried out the work. A Colorado Springs licensed electrician will provide you with proper records of the work. So if anything does happen, you can prove the work was carried out by a licensed professional. Finally, it’s time to consider the law. In the United States, you can’t just carry out electrical work in your home at you please. What you can and can’t do by yourself varies from state to state. The state of Colorado requires homeowners to apply for permits for some types of electrical work. If you carry out electrical work without seeking the proper permit, you might be breaking the law. When you come to sell your home, you’ll bear the brunt of this mistake. The buyer will want to proof that all electrical work was carried out by licensed electricians with the proper permits. Hiring a licensed electrician will take all of this off your shoulders. They’ll obtain any required permits before they start the work, and provide you with a paper trail should you need to prove this. Contact WireWorks today if you need a Colorado Springs Licensed Electrician! If you need any electrical work doing in your home, contact Wire Works today. We’d be happy to chat with you about your requirements and give you a personalized quote. Our team of licensed electricians will be happy to work with you to the highest standard. You can be sure you’ll get the quality that you pay for. Not everybody is familiar with breaker boxes and what they do. In fact, the average person doesn’t know much about breaker boxes at all. But if you don’t, its important to educate yourself. Such boxes help to prevent circuits from overloading and causing wire damage or electrical fires. In turn, they are essential to safety in any home. If you don’t know much about circuit breakers, we are here to help! Here is everything you could possibly want to know about circuit breakers, and what exactly 200 amp breakers are. You can find circuit breakers on your home’s electrical panel. These panels are what takes incoming electricity and redistributes it throughout the circuits in your home. Circuit breakers are essential to the safety of any home or building. Their job is to prevent circuits from overloading. In laymen’s terms, what does this mean? It means that anytime a home or building’s electrical wiring has too much electricity flowing through it, the breaker will cut the power. Power will remain cut until the problem gets solved. Without circuit breakers homes and buildings would be at much higher risk of potential fires, equipment failures, and other wiring concerns. 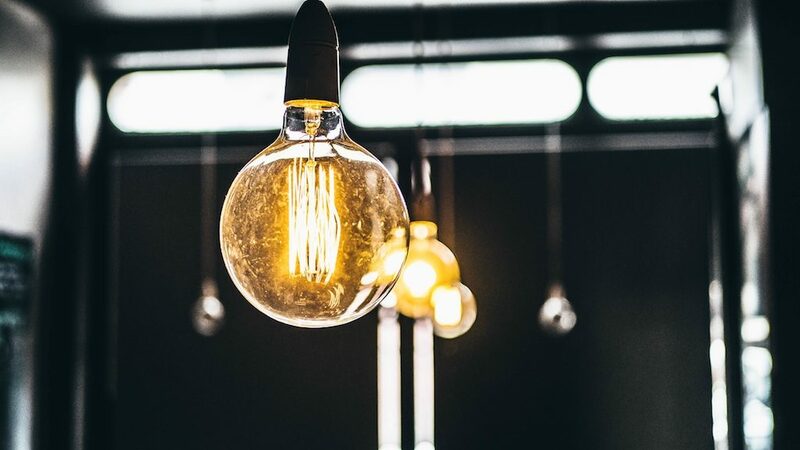 Before we can understand what a circuit breaker does and what 200 amp breakers are, we first need to better understand the concept of electricity. 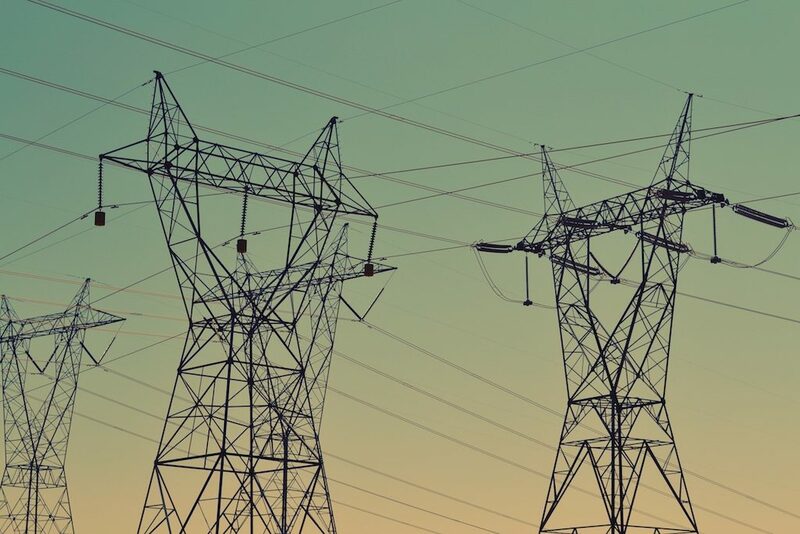 There are three major attributes that make up electricity; voltage, currents, and resistance. Voltage = A force or pressure that makes an electrical charge move. They’re understood in terms of “volts”. Currents = The “flow” of an electric charge. In other words, the rate at which the charge moves. Voltage, currents, and resistance all work together – and you cannot change one without causing change to another. So what does this have to do with your circuit breaker? Electricity in your home is initially received from a power plant. Inside your home, this electricity moves through circuits. One end of the circuit leads to the power plant, and the other leads to the ground. Whenever this circuit is closed, current can move through it. Electricity gets delivered to your home at a steady voltage, but all electrical appliances within your home provide a different amount of resistance. This resistance is what limits how much charge can flow through the circuit. For safety reasons, appliances are generally designed to keep a low current. If too much current were to pass through, the wires would generate too much heat, and a fire hazard would be the result. This is how electricity should work in your home. But occasionally, things can go awry. In some cases, problems can cause resistance to minimize, pushing huge amounts of current through the wires. In turn, it becomes a safety hazard as the wires can overheat and create a fire. Luckily, it is cases like there where your circuit breaker will come to the rescue. When too much current is being pushed through, the breaker cuts off your circuit until the problem gets fixed. How does a circuit breaker work? What does it mean to have “200 Amp breakers”? Fuses are the simplest circuit protection devices. This is simply a thin wire that plugs into the circuit. When a circuit is closed, any charge that flows through it also flows through the wire or fuse. If the fuse gets too hot or there is too much current flowing through it, it disintegrates. This causes the circuit to open and prevents any further damage. Heres the problem with a fuse; you can only use it one time. If you blow a fuse, you have to replace it. This is why so many people are now moving to circuit breakers. They hold the same function as a fuse (opening when there is too much current), but you can use them more than once. How does it work? Unlike fuses, circuit breakers don’t “blow”, they “trip”. When this happens, all you need to do to restart them is simply flip a switch. Now let’s talk about Amps. An Amp is a unit for measuring electricity. It is the standard unit for measuring how fast an electrical current flows. Each circuit breaker will have a maximum Ampage marked on its handle. This number represents the maximum Amp that can flow through the circuit before it trips. Before the 1950’s, 30 Amp fuse panels were the norm. Travel into the 1960’s, and 60 Amp panels became more widely preferred. Nowadays, 100 and 200 Amp breakers have become the standard. In fact, 100 Amps are the minimum allowed, while 200 Amp breakers are the preferred option. What are the different types of breakers? There are 2 standard types of circuit breakers; single and double pole. Single poles probably make up most of the breakers within your box. They are single switches designed for delivering electricity to smaller appliances. Double poles are for operating the larger appliances like washers, dryers, and dishwashers. These resemble two switches joined together. So, why should you choose breakers? Well, you could just choose a simple fuse. But why continue to replace fuses when you can just flick a switch? Circuit breakers are an important choice in any home because they control your safety. Breakers help to keep the electrical currents flowing properly in your home, shielding you and your family from electrical fires. In terms of Amps, 200 is the standard in most homes today. Where can you buy 200 Amp breakers? At WireWorksCoInc.com. At Wire Works Co Inc, we can help you install electrical panel upgrades that will keep your home or business safe. With the help of our professionals, we can ensure your home never loses power or suffers the consequences associated with a bad electrical panel. Invest in your safety today!